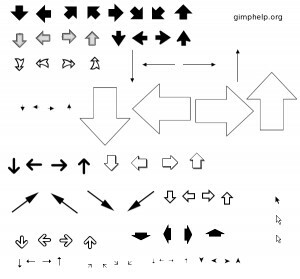 Here you can download GIMP arrow and cursor brushes with version 09/22/2009. 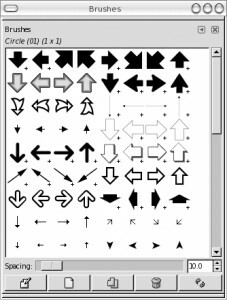 This software was developed by Paul Sherman. Distribute by license BSD License and price FREE. You can download this software from www.gimphelp.org domain.